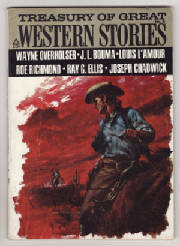 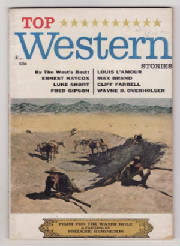 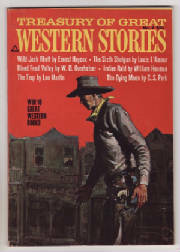 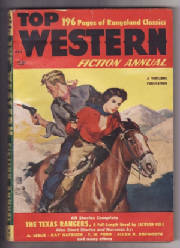 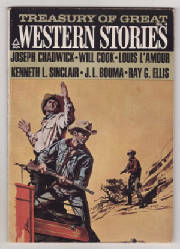 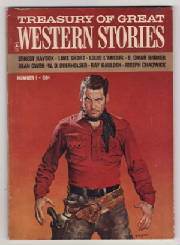 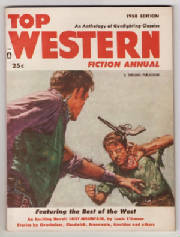 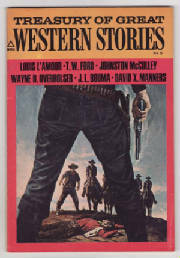 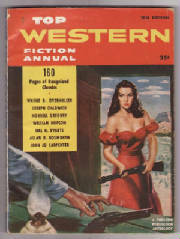 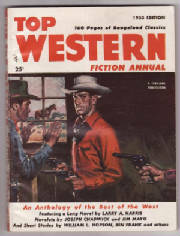 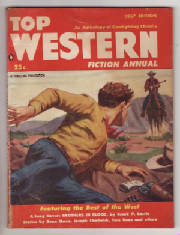 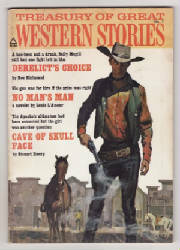 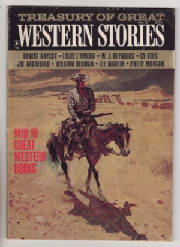 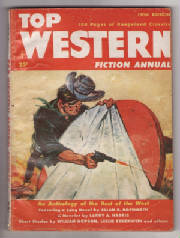 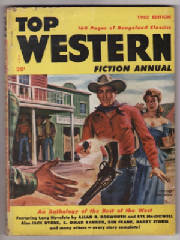 Top Western Stories ran for a total of only 1 issue in 1964, published by Popular Library, Inc. 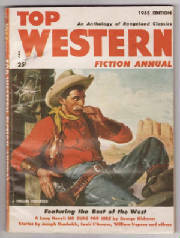 It is my belief that this magazine may have changed its title to Treasury of Great Western Stories. 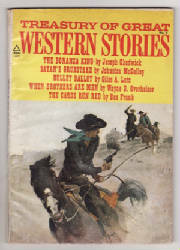 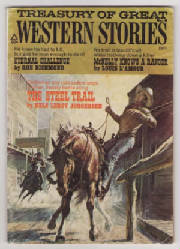 Treasury of Great Western Stories ran for a total of only 9 issue from 1965 - 1973, published annually by Popular Library, Inc. 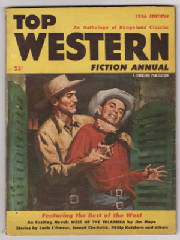 It is my belief that this magazine may have changed its title from Top Western Stories.